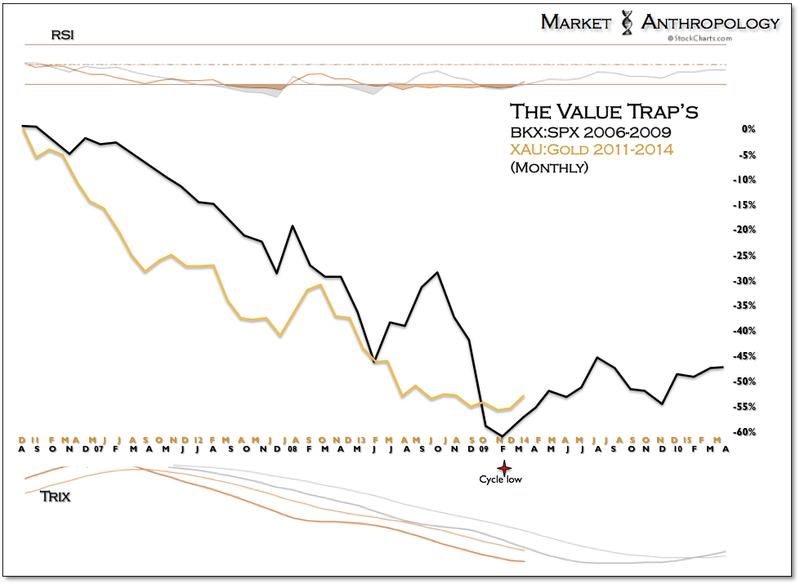 Here's another update of our Value Trap series that contrasts the precious metals miners with the biggest value trap of the previous cycle - the financials. Broadly speaking, the comparative looked at how a derivative sector capitulates - relative to its denominating backdrop. 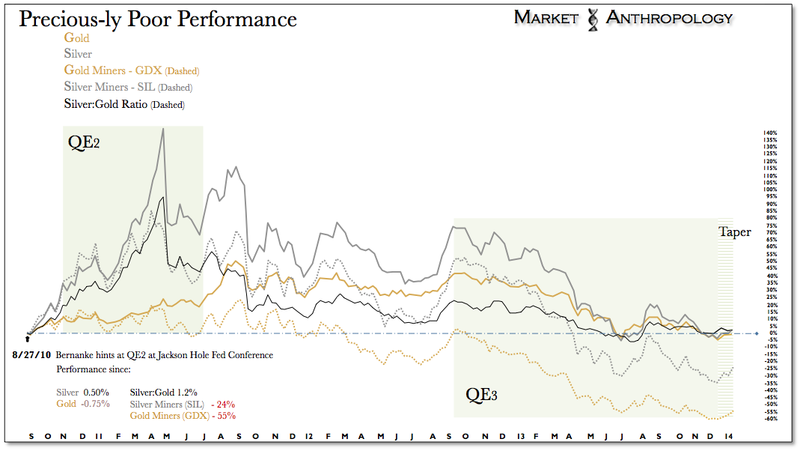 While we had been fervently bearish on the precious metals investment thesis since Q2-2011, we had looked for any further insights on what the end-game might look like. When we originally fit the markets last January (see Here), gold was still flirting with ~ $1700 an ounce, yet the comparative pointed towards a cycle low for the sector this past November. In essence, the work presented the perspective that the exhaustive move had yet to begin in spot prices - and therefore the mining sector likely still had significant room to run on the downside. The study was normalized to the secondary highs preceding the downtrend pivot for each ratio - a ratio that was understood as a leading proxy for the underlying sector. 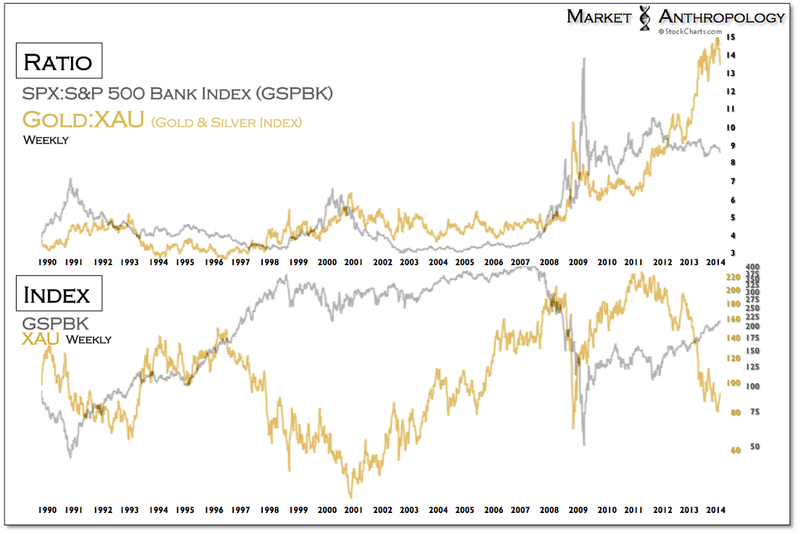 The XAU Philadelphia Gold and Silver Index was chosen as a more representative basket for the overall gold and silver space - and the BKX Philadelphia Bank Index was used for the financial sector. 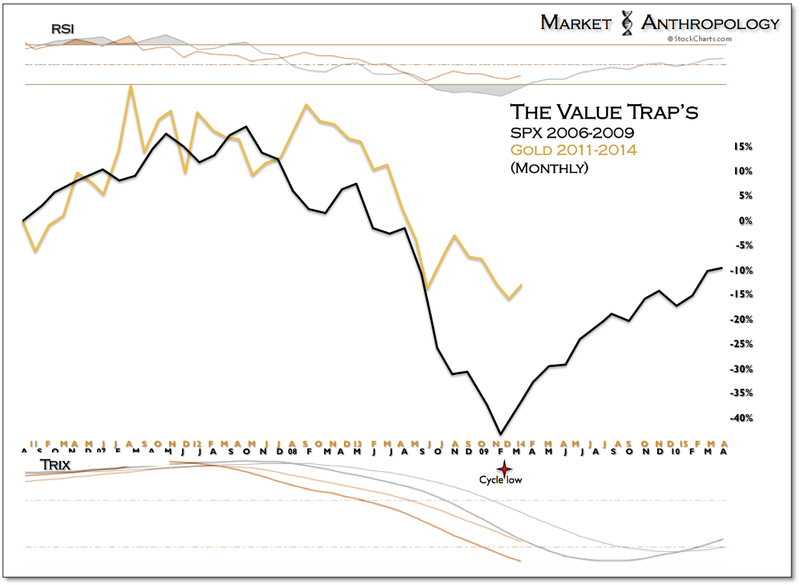 The denominators (gold and the SPX) were chosen as the least volatile representatives for each sector. The general rational behind the study was that from a historical point-of-view, the banks have been a leading proxy to gauge the overall health for the broader equity market cycle - both higher and lower. 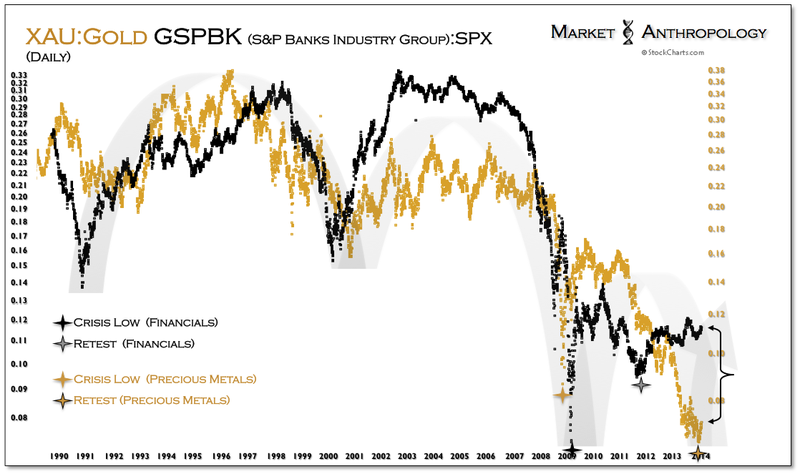 Very similar to how the miners led the bear market in spot prices by several months this time around, the banks - relative to the SPX - started to strongly underperform the market way back in the summer of 2006. While some might question if the miners could be used as a proxy - or even a leveraged play on the overall space, we would strongly argue they would be ignoring how presciently they turned first and heavily underperformed spot prices throughout the most recent bear market. Just like the financials in the previous cycle, they became in fact a very leveraged short on the broader investment thesis over the past three years. From our perspective, it seems reasonable to expect that similar to the financials the inverse dynamic should materialize as the sector turns out of the bear market lows found last year. The chart below which we have brought up periodically over the past year depicts how both ratios have trended together over the past twenty five years. 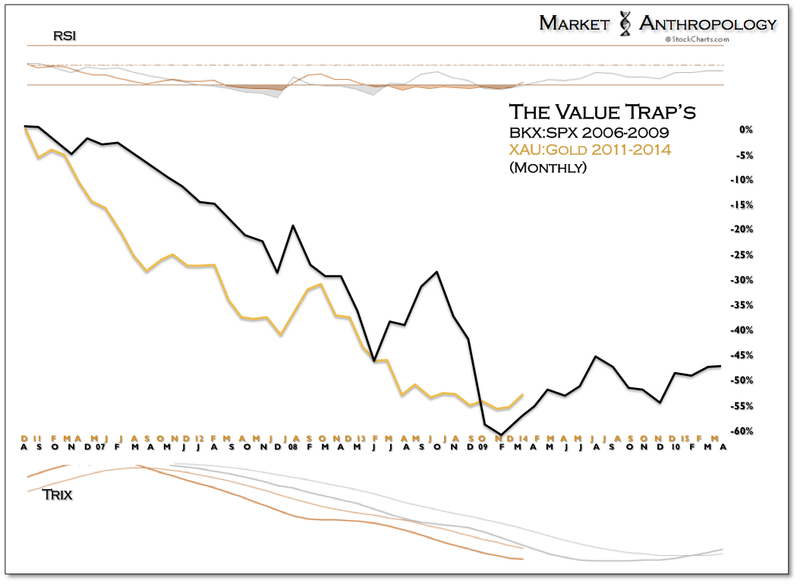 We had used the S&P Banks Industry Group (GSPBK) in this series - rather than the BKX, simply because the data went further back. 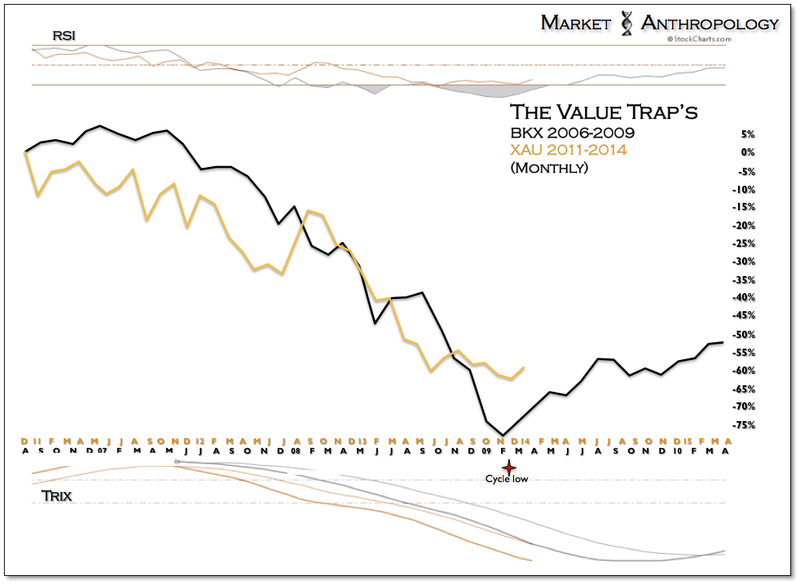 Comparatively speaking, we maintain the perspective that the most recent lows found in the XAU is a retest of the crisis lows found during the financial crisis.The twist, however - and as indicated in the Value Trap series, is that the ratio extremes in performance of the miners relative to spot prices, had occurred during the retest - rather than during the crisis itself. 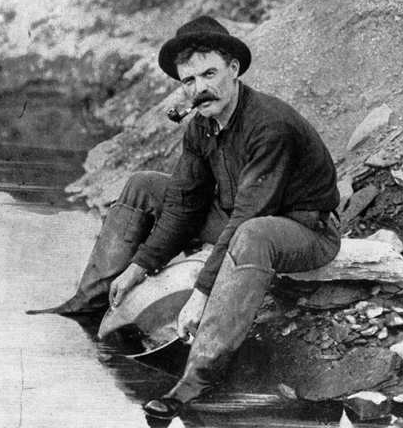 Like the financials, we continue to believe that the reflexive bounce in the miners should run commensurate with the reversion from the historic extreme found in the ratio today. Having said that, we find it interesting that from a purely simpleton technical perspective, the long-term uptrend in the XAU that began in late 2000 has continued to make higher highs and higher lows - despite the perennial pressures maintained across the sector over the past three years.